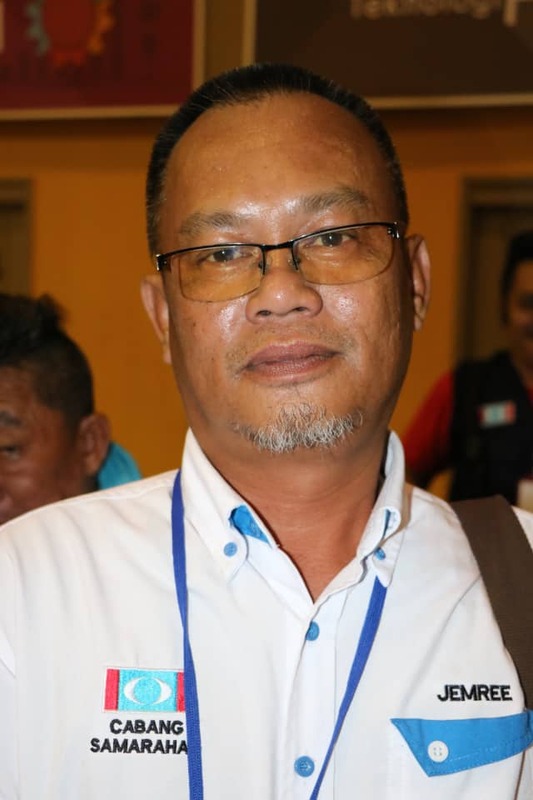 KOTA SAMARAHAN: Jemree Sabli has been elected as the new head of theParti Keadilan Rakyat (PKR) Kota Samarahan branch in the PKR Election 2018 today. Jemree managed to win 184 votes, defeating Datuk Nor Irwan Ahmat Nor who obtained 106 votes. Meanwhile, Deputy Head of Branch was won by Suaidi Morshidi with 192 votes compared to his opponent Arip Ameran who received 90 votes. Deputy Head of Branch Division won Mohidin Morni with 181 votes compared to his opponent Hussain Abang Apok who earned 89 votes. The decision was announced by the Head of the ILP City Hall Election Supervisor Mohd Hatta Marzuki after the polling centre closed at 4.30pm. Only 40 per cent of 494 voters from 1,235 members of the Kota Samarahan Branch PKR had come to the polling centre at the ILP Board of Town of Samarahan. PKR Election Results for Kota Samarahan also witnessed the incumbent PKR deputy president Datuk Seri Mohamed Azmin Ali ahead of candidate Rafizi Ramli. Mohamed Azmin acquired 146 votes, over Rafizi, who had only won 84 votes.